Reading Christina Askounis is like watching an Olympic figure skater. What you notice first is the delicate, polished, graceful outward form: the energy, the movement, the invented world as bright and solid as a sheet of ice. What you don’t see, often until you’ve finished the story and are mulling it over and trying to understand how she pulled it off, is the forceful, disciplined athleticism that propels it. Askounis is a master illusionist: she writes fiction so seamless, so confident in its voice, so finished, that it looks effortless. With energy and precision, she wields each element of story craft without drawing attention to what she’s doing. In two lines of dialogue, she can mark a change in the trajectory of a relationship with clarity and force. In a few sentences’ description of a room, she can create an entire emotional history. This is a world so solid, so sure-footed, that one melts into it. Her sense of human behavior is finely tuned, perceptive, and surprising, and she treats her usually noble, morally anguished characters with tenderness but without sentimentality. She is also the author of The Dream of the Stone, a walloping, smart fantasy thriller for young readers. All kids should be reading prose this good. Some of Askounis’s work is featured in Image issue 47. Christina Askounis grew up in a military family and has lived in places as diverse as Okinawa, New Mexico, Manhattan, and Oxford, England. She now lives in Durham, North Carolina, where she teaches creative writing to undergraduates at Duke University. In 2004 she was the recipient of a Distinguished Teaching Award. A graduate of Mary Washington College of the University of Virginia, she earned an M.A. from The Johns Hopkins University Writing Seminars while working as a reporter in Baltimore. 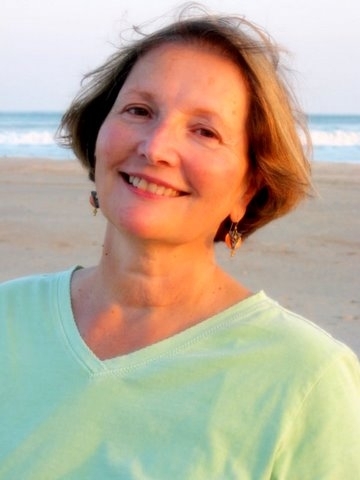 Following her stint at the city desk, she became a scriptwriter for Maryland Public Television, where she wrote a Peabody Award-winning series on the environment. Her short fiction has appeared in the popular magazines Redbook and First, and in Image (issue 47). Her screenplay, Enchantment, was a finalist in the 2000 Moondance Film Festival. “I am working on a novel which chronicles the aftershocks in the lives of three friends after one of them is catapulted into the bizarre world of international celebrity. It began with the voice of a character in my head–a man as it happens–who said: “I suppose half the world knows Summer MacAllister’s name and face by now.” As I’ve listened to the story he tells, I’ve been thinking about the culture’s preoccupation with famous people and the way in which fame distorts personal relationships and draws everyone in proximity into its vortex. But mostly I’ve been thinking not about ideas or themes but about the characters themselves and the trouble they get themselves into. “With the reissue in April of my young adult fantasy novel, The Dream of the Stone, I’ve also been contemplating a sequel to it. I originally envisioned Dream as the first of a trilogy, but while I was writing it I had an idea for a screenplay, Enchantment, which I wrote when Dream was published. Then I embarked on the current novel—a “novel for adults” as I have to be careful to say, since “adult novel” sounds like it should be X-rated, and the Dream trilogy was temporarily set aside. So perhaps when the current novel is written I’ll return to fantasy for another go.